In some parts of the country it may seem like the snow is just melting, but, believe it or not, summer is almost here. As the school year comes to a close and swimming pools start to open, travelers are encouraged to book and protect their summer vacations early this year. Of course, early bookings usually equate to travel savings, but TripAssure travel protection plans also offer the most value to those who diligently shop early. This is a common principle with insurance; you cannot insure a risk that has already happened. If something occurs and will interfere with your upcoming trip, it would then be too late to purchase a new travel protection plan to cover that occurrence. An easy to explain instance would be if one of the travelers received a medical diagnosis preventing them from traveling. That person would not be able to purchase a travel protection plan in order to cancel due to that medical need since the diagnosis has already been received. Another common example involves tropical storms and hurricanes. When a tropical depression strengthens to a tropical storm, the storm is officially named. Once a storm has been named, new travel protection plans purchased are not able to cover claims from that named storm. Plans purchased prior to the storm being named are eligible to protect against the tropical storm or hurricane. Since we are on the subject of tropical storms and hurricanes, this is a good time to remind everyone that hurricane season happens every year. For half of the year, June through November, the Atlantic Hurricane Season poses a regular threat to travel along the east coast and Caribbean. Booking travel protection early is a means to make sure any upcoming storms will be protected by the plan coverage benefits. This could mean a trip needs to be cancelled due to a mandatory evacuation, accommodations made uninhabitable, or flight delays of 12 or more hours. There may also be interruptions, missed connections and travel delays for those already on vacation. For a more detailed review, please read the Travel Protection Guide for Hurricane Season. This isn’t a consideration for all travelers, but for those impacted; it can be of vital importance. All three TripAssure plans (Asset, Bridge and Complete) include the Waiver of the Pre-Existing Conditions Exclusion if the plan is purchased within 15 days of the initial trip deposit date and the condition does not prevent the person from travelling at the time the plan is purchased. When the exclusion is waived, travelers may receive coverage benefits for a pre-existing condition that causes a cancellation, interruption, the need for emergency medical treatment or evacuation. If 15 days from the deposit date has already passed, you may still purchase a TripAssure plan, however, that plan will not waive the Pre-Existing Conditions Exclusion. 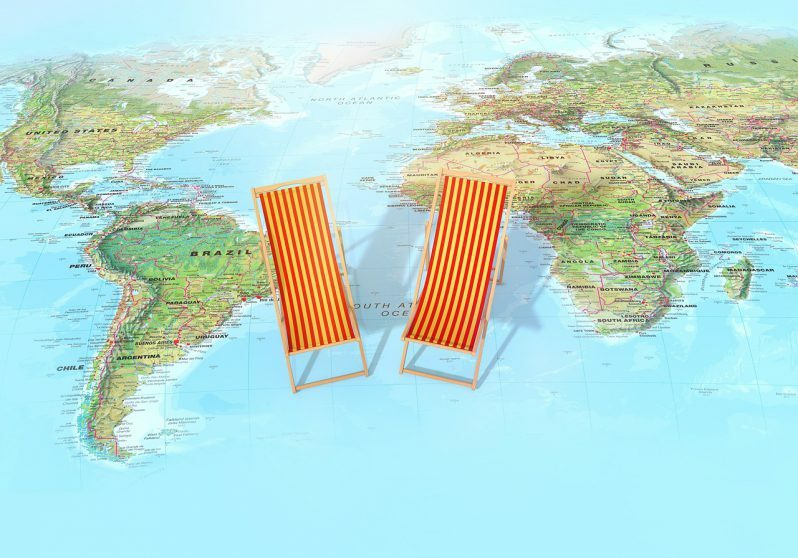 The most comprehensive way to protect a vacation against the possibility of cancellation is to get a travel protection plan with the Cancel For Any Reason (CFAR) coverage benefit. This benefit is as the name suggests; you are able to cancel the trip, without explanation, and receive up to 75% of the trip cost that is not refunded. The TripAssure Complete plan offers CFAR, but with several requirements to qualify. First, the Complete plan must be purchased within 15 days of the initial trip deposit date. Second, it is required that the full trip cost be insured on the plan. Third, the final opportunity to cancel the trip using CFAR is 2 days before the trip departure. Remember, a Complete plan with CFAR also includes the standard Trip Cancellation benefit, as well. This means if the need to cancel the trip is a covered reason, travelers can claim Trip Cancellation and be reimbursed up to 100% of the trip cost. Only if the need to cancel isn’t a covered reason would the travelers claim using the CFAR benefit. For those travelers who prefer having control over whether to cancel the trip, or those concerned about a possible risk that isn’t covered by the standard Trip Cancellation benefit, CFAR can be a valuable choice. This information is meant to be an overview of travel protection benefits available in TripAssure plans. Please always refer to the plan documents for details or contact TripAssure with any questions.